Booking the right Billings, Montana DJ can make a profound difference for your special day. WeDJ.com has several DJs - Disc Jockeys to choose from near Billings, MT that can help make your day memorable. Want to know what is popular in music? 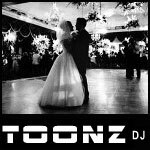 Our WeDJ.com music lists below have been compiled by DJs located throughout North America and some DJs near Billings. Browse our popular music links below for you event, then search for DJs in your area from the list on the left. Look for DJs - Disc Jockeys that have customer reviews integrated into their listing. Many DJs - Disc Jockeys use the online surveys provided in their Gigbuilder accounts to showcase their past client's reviews. Use our simple checklist below to aid in search for the best DJs for your Billings, MT event! Our vast directory of Billings, MT DJs contains information, phone numbers, and websites of DJs near Billings, MT and the Billings, MT Metropolitan area. If you have selected an event date when searching for DJs in Billings, MT, you may notice the thumbs up icons next to some of the company names. These members use Gigbuilder availability checkers powered by WeDJ. This icon denotes that they have a confirmed opening for your event date. There is no need to spend hours needlessly contacting numerous companies that may not be available. Providing information for the various DJs - Disc Jockeys to contact you is easy. Simply click the contact button next to any Billings, MT DJ listing and provide your contact information in the pop-up window for your selected DJ. Alternatively, click the save button and contact all DJs - Disc Jockeys at once using the quick quote system at the top of the page. Most Billings, MT DJs will require a deposit/retainer fee and signed contract before they will work an event. Make sure to fully read the terms and conditions before signing.